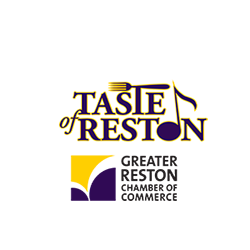 The Reston Chamber of Commerce is once again hosting Taste of Reston on June 14-15, 2019! We are hoping to fill 300+ Volunteer Positions for the two day event. Participating in Taste is a great way to network, team build, give back to the community and just have fun! Volunteers must be at least 18 years old or 21 to serve alcohol or check IDs. Garage Parking will be free all day Friday and Saturday. Each volunteer will receive a volunteer T-shirt and 12 Taste tickets. If you have four or more volunteers from your organization, you can sign up as a corporate team and wear your own T- shirt with your company logo. Each team member will receive a volunteer T-shirt and 12 Taste tickets. Your company will be featured on restontaste.com, on the official event guide and selected event signage. Please sign up below to claim your desired slot (you will be required to create a user name). Reminder - Each volunteer serving alcohol or checking IDs must attend a mandatory alcohol service training. Please sign up for one of the two training sessions. If you have any questions, please email Alicia Liddle ([email protected]). We can also be reached by calling the Chamber Office @ 703.707.9045.